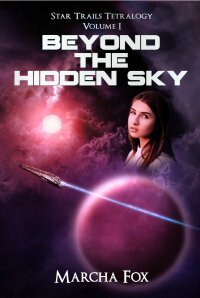 Beyond the Hidden Sky is now FREE at most online sales channels! Want to know how you can get other Star Trails titles for free or a reduced price? Join Preferred Readers! Members receive a free subscription to our newsletter, The Star Trails Sentinel, which includes information about contests, giveaways, upcoming events, personal appearances, new releases, and other special deals. Newsletters are typically sent out monthly, except for any newsworthy items that come along at the last minute. Don’t worry, we’ll NEVER share your email address with anyone. Sign up here!